Come One, Come All! 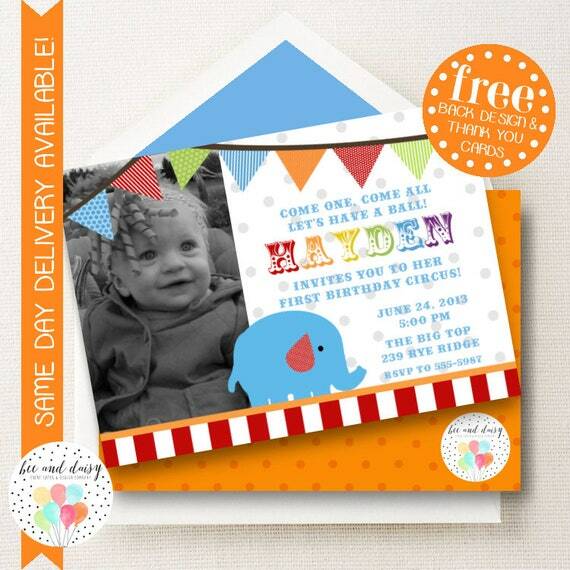 Set this first year birthday off on the right foot by sending fun circus-themed invitations to family and friends. There are many cute options but I like invitations where Baby is the star performer. An adorable outfit will make Baby the main attraction, indeed! 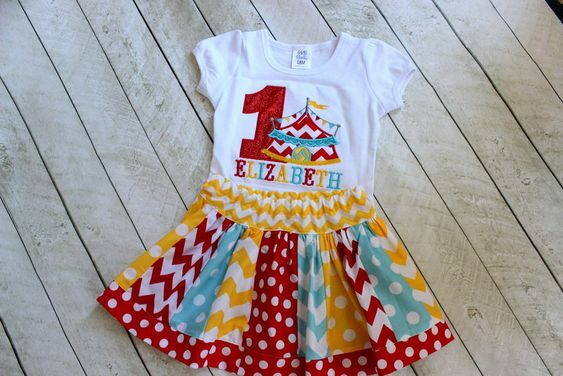 This tent-inspired dress and shirt ensemble is just too cute! 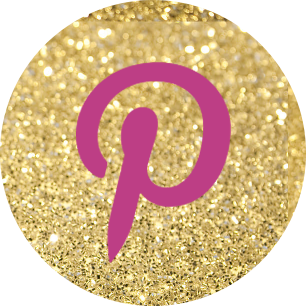 Circus-themed banners, favors, centerpieces, treat boxes, and SO much more! Check out Big Dot of Happiness for all your party decorations and needs! Keep Little Acrobats entertained with a toddler-sized circus tent. 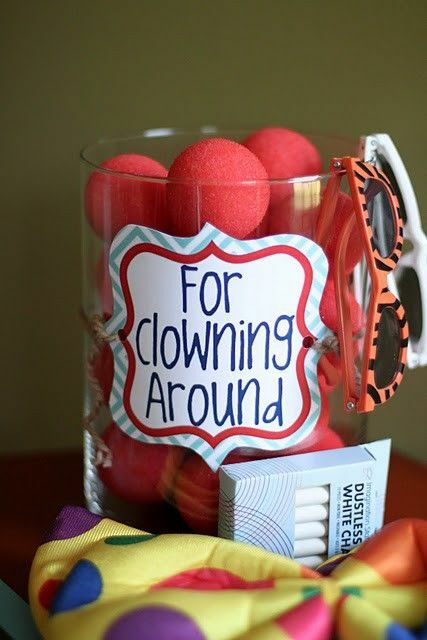 Fill it with colorful plastic balls for an especially fun-filled afternoon! 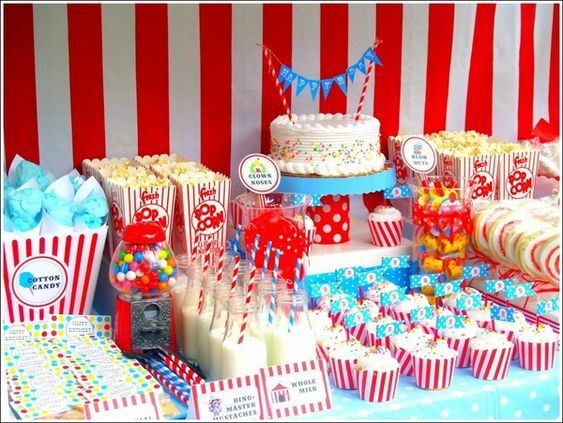 Get all your popcorn, cotton candy, and peanuts from one seriously spectacular treat bar! Red stripes and polka dots make for perfect bowls, bags, and liners. 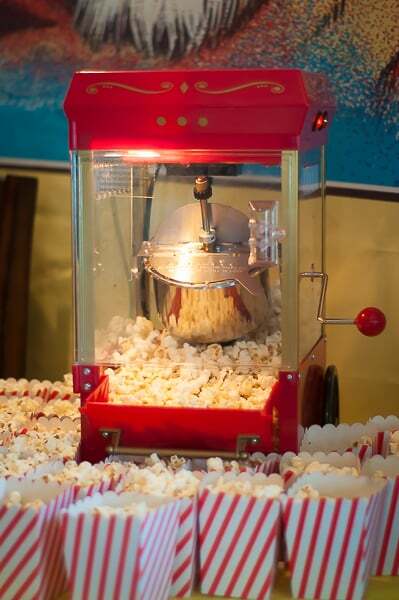 If popcorn’s on the menu, what better way to serve it hot than with a popcorn machine!? You can find some seriously fun and affordable machines on Amazon! You can’t have a first birthday bash without a grand finale of a cake! 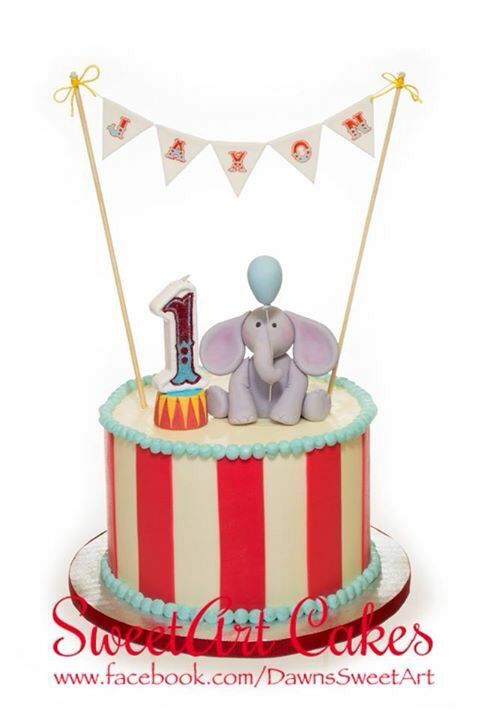 This elephant and banner cake is just too adorable! Turning 1 is serious business but you’d best not let things get too serious! 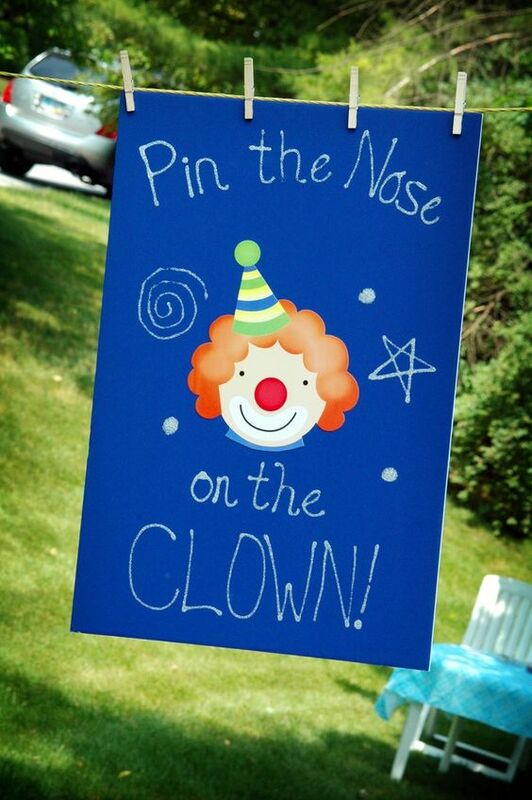 Make sure this circus is ripe with clowns by providing red foam noses for all your guests. Everyone knows the best circus shows have heart-stopping acts of courage. 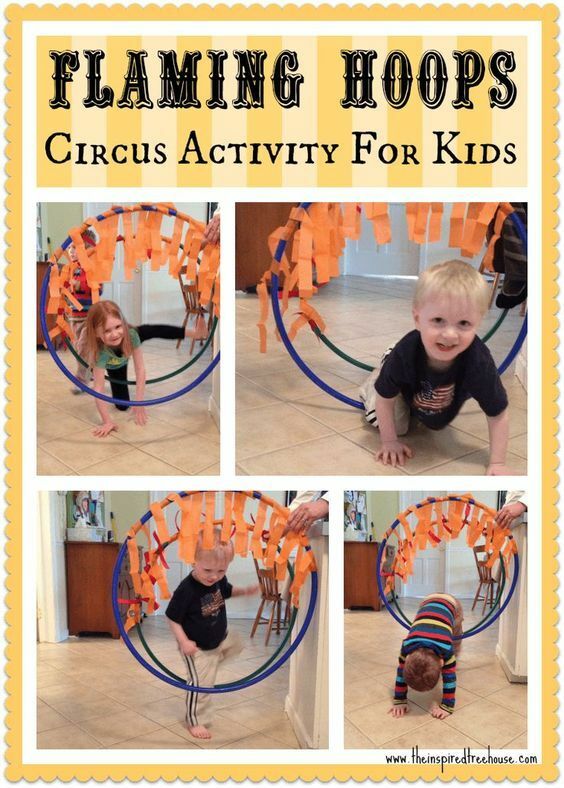 Your Little Performers will absolutely love to test their bravery with this “flaming hoops of doom” activity! 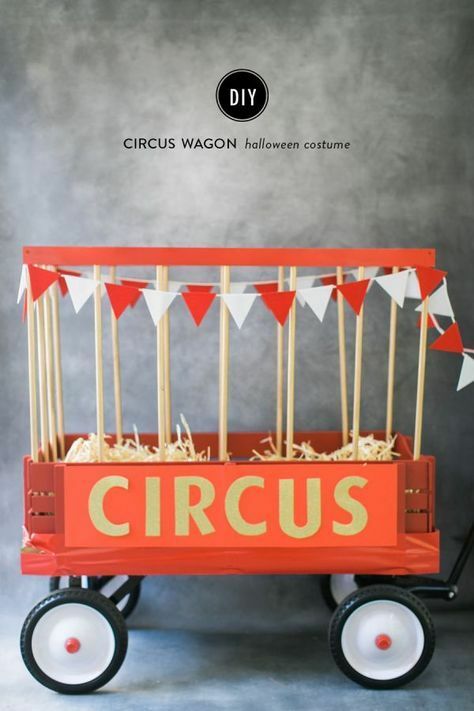 What a highlight this circus train would be for Party Animals all around! 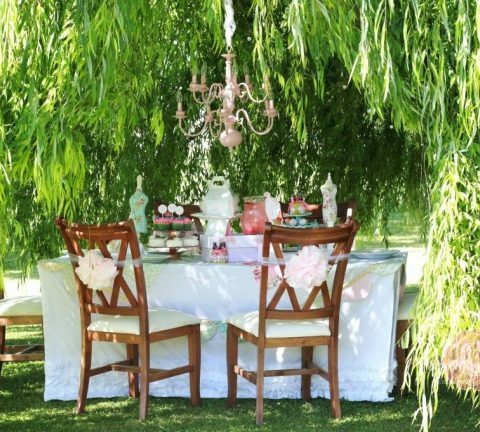 The red and white banner and hay are especially perfect!